Gilbert Keith Chesterton was an English writer. His prolific and diverse output included philosophy, ontology, poetry, play writing, journalism, public lecturing and debating, biography, Christian apologetics, fantasy and detective fiction. 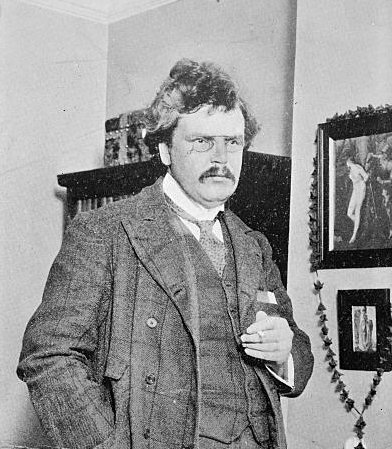 Chesterton routinely referred to himself as an "orthodox" Christian, and came to identify such a position with Catholicism more and more, eventually converting to Roman Catholicism from Anglicanism. George Bernard Shaw, Chesterton's "friendly enemy" according to Time, said of him, "He was a man of colossal genius."